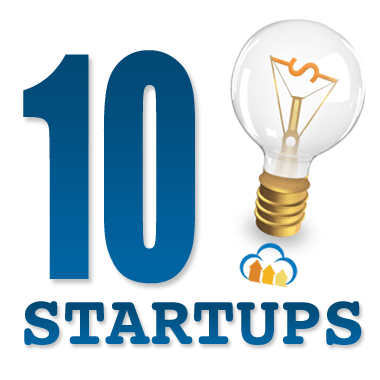 Today, we wanted to introduce you to 10 of these startups. These are all amazing services that you should definitely check out. Also notice how they employed Cloudinary in their services. We hope that this might benefit your startup as well. Whether you’re looking for a roommate or a new place to live, Crashpad helps you create and share an eye-catching roommate profile that gets results. Among other things, you can put up a photo, brought to you by Cloudinary, which helps your potential roomies put a face on your story and help them figure out how awesome a roommate you are. Cibando makes it easy to find the best restaurants in Rome, Milan, Florence and other cities in Italy. Cibando is both a website and a mobile application which utilizes Cloudinary to upload, manipulate and deliver mouth watering images of famous Italian dishes. Opinion Stage brings together people with common interests and a desire to express, debate and follow opinions. Opinion Stage is a social web application built with Ruby on Rails and leverages Cloudinary for embedding Facebook profile pictures and user uploaded photos. Abroad101 is the largest study abroad review service. Abroad101 helps schools automatically collect and share program information with students, create reports, and compare their data to other institutions. All the dynamic photos on Abroad101 are managed by Cloudinary. Bunch is a mobile app that allows you to constantly be in tune with a community of other with similar interests and hobbies. Bunch allows you to find people with hobbies similar to yours and, share, get feedback and comment. TripOwn transforms user’s travel ideas into end-to-end, personalized, multi-themed tours. Users can easily plan a tour around a chosen destination, personalize it and print or download it in a chosen format. The users can see exactly what to expect from each venue thanks to the images on-site, transformed and polished by Cloudinary. RegistryLove lets you register any gift from anywhere. From department stores to your favorite local boutiques and activities, to your dream honeymoon, all in one place. And of-course, any gift photo can be brought to life with Cloudinary’s visual effects. The photostory, a type of collage, is Ballonducks attempt at turning the visual arts into a true and well-rounded vehicle for communication. These amazing collages are available to you both on site and as an app, brought to you quickly and effortlessly via Cloudinary. ShopPad is a platform which enables stores to be available on tablets with a user friendly interface. With ShopPad’s technology your store becomes tablet-compatible and together with Cloudinary, so do your images. PersonSpot is a social publishing application, which allows individuals to publish magazines with content they identify through their social feeds, create themselves, or discover on the Web. PersonSpot’s media rich website utilizes Cloudinary to streamline their image management needs. What a cool bunch of startups! if you too would like to be part of our next '10 companies' blog post, give us a shout and Let us know! We would always love to hear from you or get a virtual hug via Twitter or Facebook.